I still remember how I felt when I got down at Chennai Central for the first time in my life. The station – its façade in the Gothic Revival style architecture – seemed vaguely familiar and oh, that was probably because I’ve seen it in a lot of movies. And, my familiarity of any kind with the city ended there; everything else about Chennai was absolutely new to me. I wasn’t even sure how I would survive given that I knew next to nothing about the place. However, as days passed, the city started growing on me and I fell in love with it in a brief span. That’s not all! I explored the city’s breadth and length and did many things in that short stint – from tasting authentic local food and visiting places of worship to spending every other evening at Marina Beach and going on a shopping spree in T Nagar. If you are new to Chennai and looking for interesting things to do, let me help you out. In this blog, I’ll tell you about some incredibly cool things you can (and should) do when you are in the city. So folks, here we go. It’s time to fall in love with the capital city of Tamil Nadu. It might sound ridiculous, but the best way to fall in love with a city is to first fall in love with its food. And when in Chennai, you are spoilt for choice as it is dotted with restaurants and food joints, both big and small, that serve a dizzying variety of dishes. When in doubt, always start with dosas – the quintessential South Indian dish you can never get bored of eating. You’ll get dosas in every nook and corner of the city, but my recommendations include Murugan Idli Kadai, Ratna Café, ID, and Saravana Bhavan. 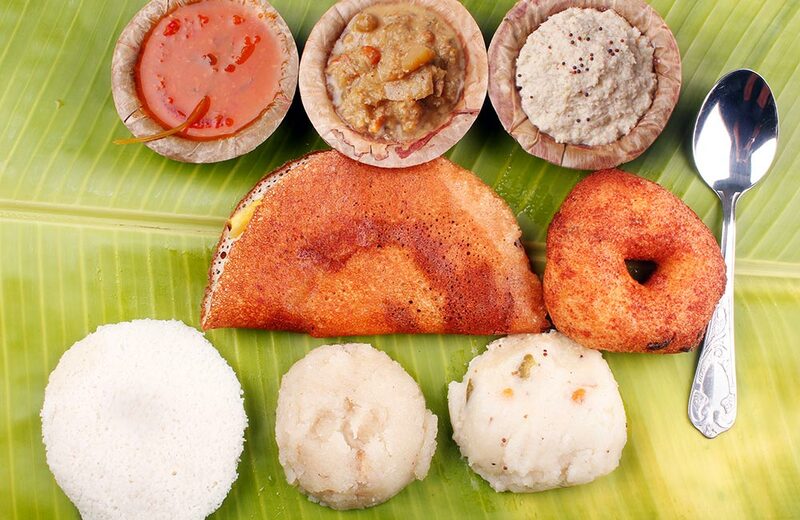 Besides dosas, you can also try idli, sambar and rasam rice, kuzhi paniyaram, and pongal. That’s for the vegetarian part of your love affair with Chennai. For the non-vegetarian part, start with a plate of Ambur biriyani at any of the Ambur Star Biryani outlets in the city or go for the much raved about Dindigul-style biriyani at Dindigul Thalappakatti Restaurant. You can also try chicken chettinad, kothu parotta, and nethili fry, among others. And lastly, seal your everlasting bond with the city with a steaming cup of filter coffee. 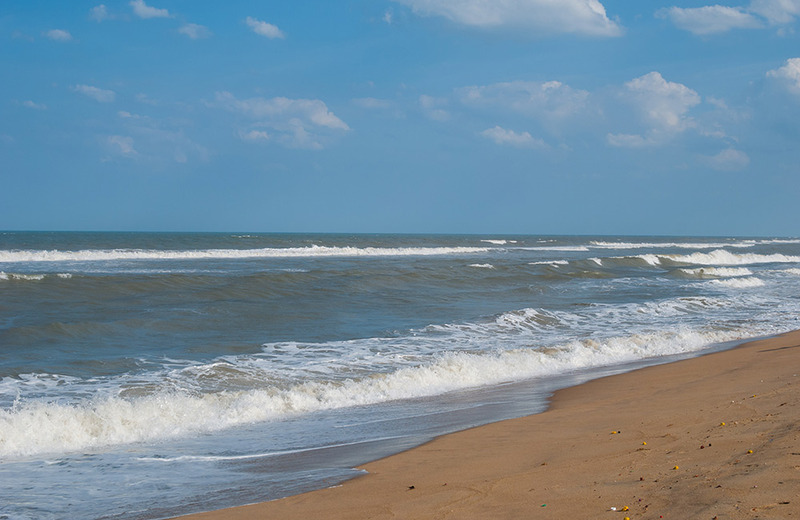 An iconic place in the city of Chennai, Marina Beach is best known for its placid beauty, picturesque surroundings, and the coastline that stretches about 13 km, making it one of the longest beaches in the world. It’s indeed a rejuvenating experience to watch the sun go down sitting on this sandy beach and munching on a pack of freshly roasted peanuts. Trust me, you will love this experience. And hold on my friend, it’s only going to get better. There are numerous food stalls by the beach, not to mention the fun games and activities like kite flying, pony rides, and beach volleyball. All these make Marina Beach a must-visit spot with a lot of fun things to do in Chennai. So when the beach calls you, be ready to answer it! And, when here, be sure to explore Ice House, Senate House, MGR Memorial and Anna Square. Take my two cents before you head out to Pondy Bazaar. First, put on your best pair of sneakers because you will have to walk a lot. Second, fill your wallet with cash (real cash not cards) because cash payment is much easier when you buy things from street vendors. Now, let’s get to business. Pondy Bazaar, the official name of which is Soundarapandian Angadi, is a one-stop destination for all your shopping needs. To say that the place is popular is an understatement; it is every Chennaite’s second home! 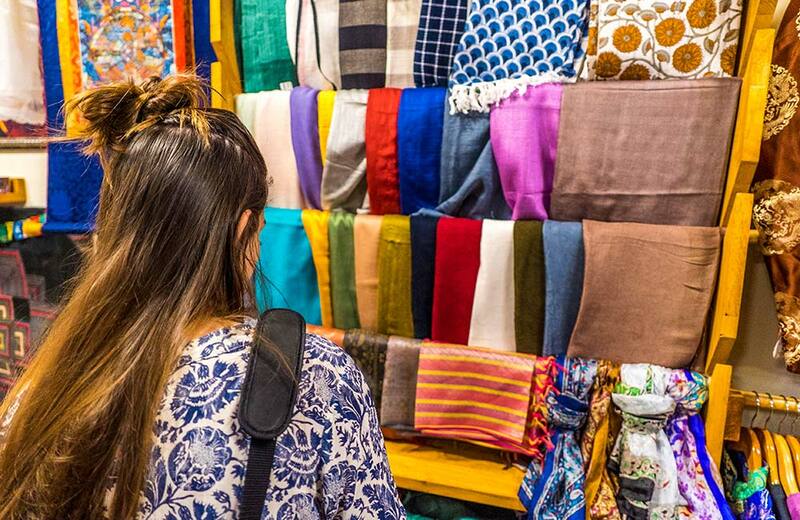 Whether you want to buy branded items or indulge in some street shopping haggling with vendors, Pondy Bazaar is the right place. And, you will find everything (nearly everything, I meant) here at pocket-friendly prices, from safety pins, shoes and household items to bags, clothes and faux jewelry. The bazaar also houses some of the best-known commercial establishments in the city, such as Saravana Stores, Ratna Stores, Naidu Hall, etc. Spending a few hours in this market is among the top fun things to do in Chennai. Want to take a short break from shopping? Step into one of the many restaurants on the street, including Adyar Ananda Bhavan, Saravana Bhavan, and Anjappar; grab a quick bite and continue on your shopping spree. Go on shopping my friend, not till you drop but till the shops drop their shutters! 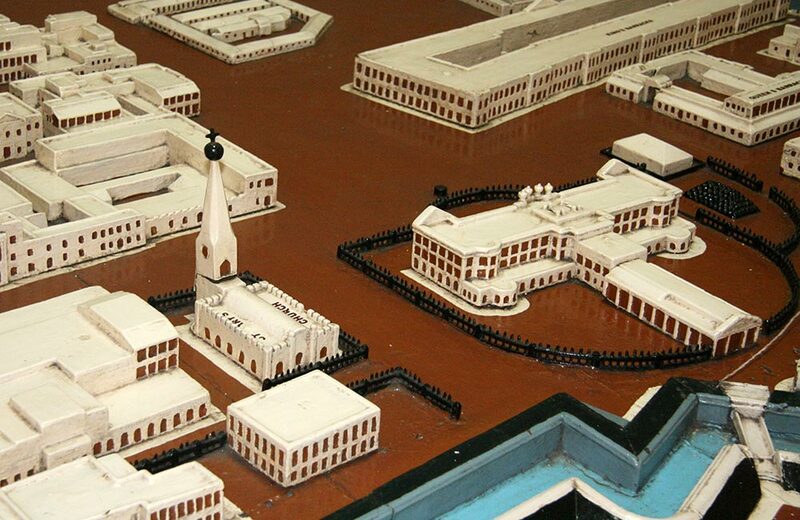 Brush up your history, and you will remember the importance of Fort St. George in Chennai’s past and present. 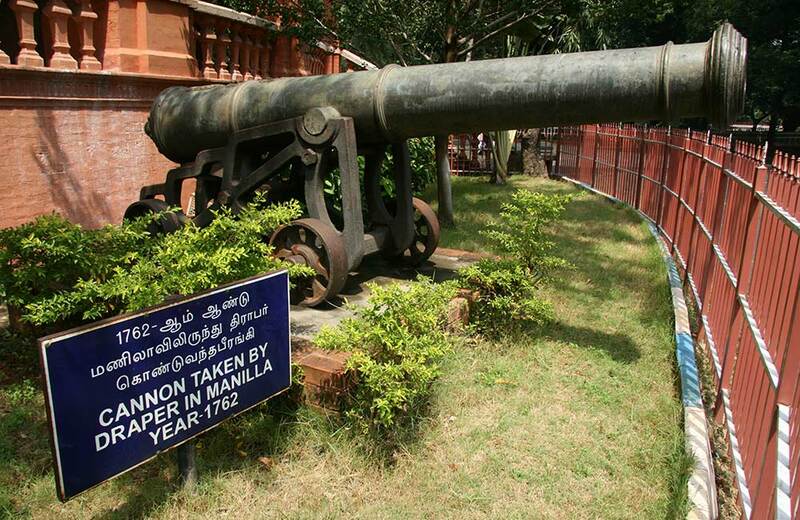 It was the very first fortress the East India Company built in India, in the year 1644. Back then, it was called the ‘White Town’. Everything about the fort – from its architecture to decorated corridors and halls – exude a colonial charm, which is hard to miss. Currently, the place houses the Tamil Nadu Legislative Assembly and its administrative offices. The fort compound comprises a church, museum, and Wellesley House. The museum is a must-visit place if you are a history buff because it contains many exhibits from the colonial period. So, visit the fort, take a trip through the pages of history, and get a glimpse of what Chennai was like when it was Madras. I admit it; this is not among the most thrilling or adventurous things to do in Chennai. Yet, spending a few hours at Anna Centenary Library is indeed a pleasurable thing to do, and you can take my word for it. To begin with, the library is built at an astronomical cost of about ₹ 172 crores. That’s serious money, people! Spread across 8 acres, this nine-story building is one of the largest libraries in Asia with over 1.2 million books. 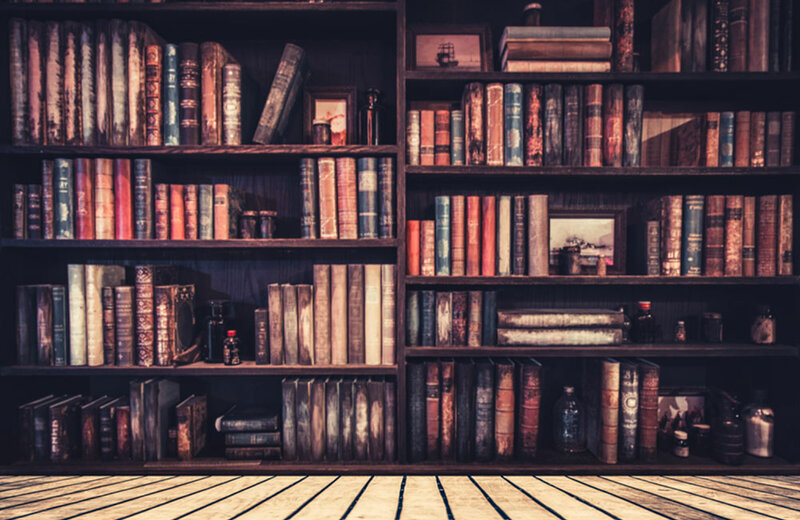 The library has different sections namely, Own Book Reading (where you can carry your books and read), Children’s Books, Tamil Books, English Books, Periodicals, and also a Braille Section. This quiet, spacious library is every bibliophile’s paradise to explore the world through words. Fancy some unfiltered greenery right in the middle of Chennai’s urban cityscape? There’s a garden, quite an unusual one, that you must not miss visiting – the Huddleston Garden at the Theosophical Society. Located on the banks of river Adyar and stretching over a whopping area of 260 acres, this garden is every nature lover’s dream come true. It’s also an ideal place to spend some ‘me-time’, talking to your inner self, listening to some soul-stirring music, or just admiring the beauty of natural greenery. 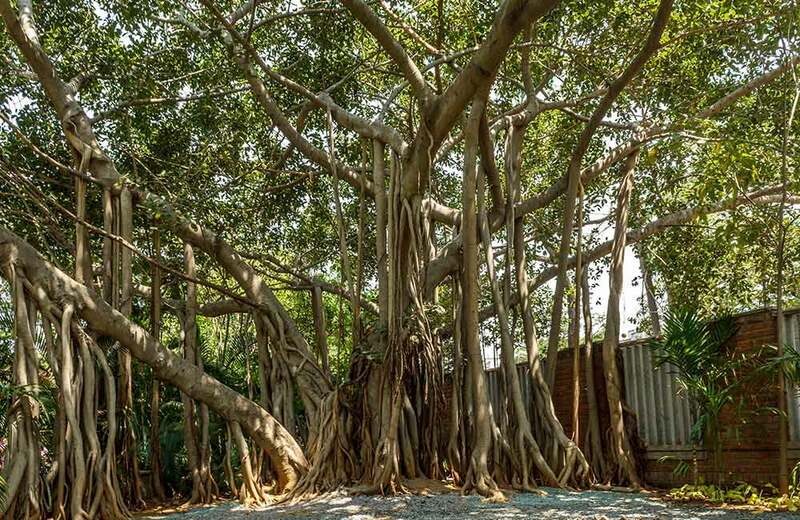 Make sure that you don’t miss the 450-year-old Adyar Banyan Tree, one of the largest in the area. You can also spot migratory birds and a large variety of native and introduced fauna and flora. The garden is calm (to the extent of making you feel eerie), greener than most places in the metropolis, and completely vehicle-free. What more could you ask for from an urban jungle? A temple with a history that goes back to about 1300 years is not something you would expect to see in the middle of a metropolitan city, but this is Chennai, my friend. A trip to Chennai is not complete if you don’t spend some time enjoying the quaint yet stunning beauty of Kapaleeshwarar Temple. 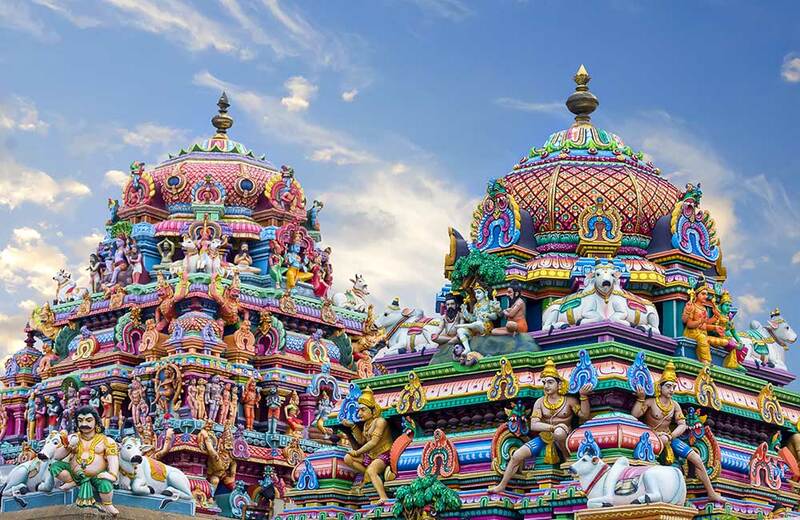 From multi-colored gopurams to pillared pavilions, it has all characteristic features of a South Indian or to be more specific Dravidian temple. Built in the 7th century by the rulers of the Pallava dynasty, the temple is dedicated to Lord Shiva. So if you are a devotee of Shiva, this is a place you must not miss. Even if you are not a devotee of Shiva or a believer for that matter, a visit to this temple must be on your to-do list for aesthetic reasons. The temple has many shrines and halls that are decked with beautiful carvings; the surrounding area constructed in the traditional agraharam style adds to its charm. And the best part is that the temple periodically hosts dance and music performances, so consider yourself lucky if you happen to be at the temple on such a day. Did you know that Chennai houses the second oldest museum in India? So, when you are in a mood to explore history, you can also head to the Government Museum. Also known as Madras Museum and Egmore Museum, the place was established nearly two centuries ago, in 1851 and is best known for its numismatic and archeological collections and Roman antiquities. The museum campus also comprises a theatre, several galleries, a public library named Connemara Public Library, and a Children’s Museum among others. While you are here, don’t forget to check out the life-size animatronic Tyrannosaurus Rex displayed in the natural history section and the 400-year-old Bible in the library. Whether you are looking for things to do in Chennai alone or with your family, this place with several gasp-worthy exhibits fit your fill. How about taking a trip to a small hillock that is rumored to be the site of a famous Christian saint’s martyrdom (Apostle Thomas in AD 72)?! If yes, include St. Thomas Mount in your itinerary. And, getting there is pretty easy as there is a metro station that serves the neighborhood. Not only does the mountain house a shrine dedicated to Our Lady of Expectation, it also provides a stunning panoramic view of the city and the airport. 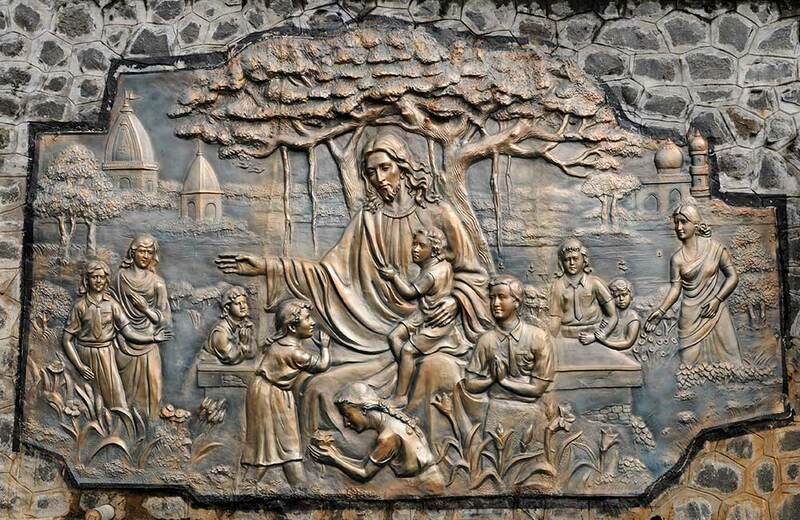 Besides, the mount also has a small bell tower, a cross pillar, an old banyan tree, and a statue of Mother Theresa. The hill is located near Guindy, which means you can also visit Guindy National Park if you have some extra time on hand. This list contains only a fraction of the things one can do in Chennai. There’s certainly more places to visit, from temples and churches to beaches, shopping streets, and food joints. Taking a drive on the East Coast Road is among the best things to do in Chennai at night, whereas morning birds can watch the sunrise at Elliot Park. The activities listed here are nothing but a good teaser to the grand movie that Chennai is. And, as they say, picture abhi baki hai, mere dost! The next time you are staying at hotels in Chennai, you know what all you can do to make your trip much more then you initially planned.